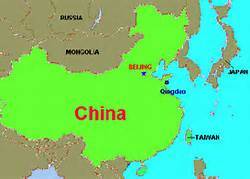 China has come a long way since Mao Zedong and the Communists came to power in 1949. China’s recent successful development has not come easy, its architects had learned from watching the consequences of failing policies. After the chaos of the Great Leap Forward, Mao launched the Cultural Revolution to control the reformist tendencies he disliked. The situation spiraled out of control because the turmoil of the Cultural Revolution led to a 12% decline in industrial production, increasing illiteracy as schools were closed down and at least three million deaths. Zhou Enlai started the process of reversing Mao’s costly and failed policies. 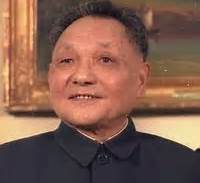 Deng Xiaoping, who had been purged twice, came to power in 1978. Deng allowed Mao-era rhetoric to continue while he ushered in more changes, the decentralization of decision making, economic reform and a focus on exports. The Chinese Communist Party’s decision in 1992 to create what it called a socialist market economy, increased privatization. Deng’s policies helped move China to a market economy that lifted 400 million people out of poverty. China has developed faster than any other country in history. With a GDP that grew in excess of 10% annually, it overtook Japan in 2010 to become the world’s second-largest economy. China may become the world’s largest economy within 10 years as it catches up with the U.S. China now holds $1.3 trillion in U.S Treasury bonds. Accounting for 11.2% of world exports, it also imports vast quantities of raw materials from other developing countries. With a large part of its GDP now generated by the private sector, China has become a member of the World Trade Organization. China’s new President, Xi Jinping, is tightening his grip on power. He has pledged to continue implementing reforms. Relaxation of the one-child policy, the abolishment of labor camps with an estimated 190,000 prisoners, dropping government controls over interest rates and rural land reform are all under consideration. The rapidly growing country also has to deal with high levels of air pollution. In the political sphere, tensions are growing because there is no sign that the Chinese Communist Party will relax its monopoly on power. China’s Communist Party does not want the calls for greater democracy and the end of one-party rule to add to the strain that comes with revamping the economy. The party is aiming to move the country from its reliance on investment and export focused growth to more dependence on domestic consumption. Although the party wants to hold down dissent, the 25th anniversary of the violent suppression of the Tiananmen Square protest arrives in June 2014. Although China has made great strides in the economic sphere, its Communist Party has yet to come to terms with the growing demand for greater political freedom. Before he became China’s main leader in 1978, Deng Xiaoping visited rapidly growing Singapore. He was duly impressed with Singapore’s success as a well-managed trading center and its government-private sector relationship. He returned to China and imposed his vision of economic reform on the country the next year. Perhaps we should send a delegation of our fractious congressional legislators to Singapore. 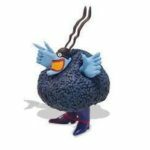 They might be inspired with a vision that will help halt the gridlock in Congress on debt and budget matters that is hindering the economic recovery. While suffering from record low approval ratings at home, Congress has also slipped in the global rankings. The 50 richest members of Congress are worth a total of $1.6 billion. In China, their 50 counterparts in the National People’s Congress are worth $95 billion. It appears that the U.S. is not the only country facing a growing income inequality problem.